America celebrated Veterans’ Day this past week and, along the way, America lost a pair of veterans that won’t be remembered for wearing camo or earning any medals for their service on the battlefield. Although I’m sure she was busy at work, she responded right away. One of our favorite writers had passed away and we both paused to feel the impact. We tend to reminisce in the moment. I suppose that’s a natural reaction; folks everywhere were doing it. Twitter was loaded with memories posted, as was my feed on Facebook. Kathy and I were taking our own personal account of the impact this individual, who neither of us had ever met, had on our lives. There were lots of memories. Some sprang from the days of our youth, when she lived in Montana and I was growing up in Florida. Some were attached to time we had spent together as a couple, whether it be in the theatre, watching the latest release from Marvel or in conversation about something we read in a long ago lost comic. The clock on my computer screen just rolled over to 5:01 am. Kathy’s still sleeping, but I can hear her voice in my head shouting his name. She did so every time his image appeared on the big screen for his Marvel movie cameo. It was always a brief moment of joy… a tribute to the impact… the thought is making me smile. 5:03… hopefully, you’re still here. 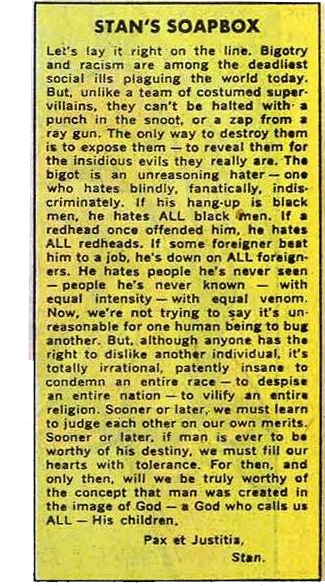 The memories of Stan Lee lay thick across the internet on Monday afternoon. I’m not going to spend time recounting ours, as I’m sure the ones that really matter are your own and I’m certain you have several. One thing that I would like to paperclip to this post however is something that Stan expressed over and over in a number of different ways – people… all people… matter. I could spend the next 500 keystrokes in an effort to unpack this concept, but I’d rather just attach Stan’s on words and let them stand on their own (the image to the right, which will open in a new tab as a larger image if you click on it). America lost another impactful voice this week, just yesterday as a matter of fact – William Goldman. You might not recognize the name, but you’ll never forget his work. He penned the screenplay for the 1969 movie, Butch Cassidy and the Sundance Kid. Paul Newman and Robert Redford brought his imagination to life on the big screen. Goldman also wrote the screenplay for another great film starring Robert Redford and Dustin Hoffman as Bob Woodward and Carl Bernstein. The movie was called All The Presidents Men (1976). If you’ve never seen it, you’ve missed a real cinematic treat. Later in life, he wrote Marathon Man and The Princess Bride, both of which I’m sure you remember. Bill Goldman was the father of Inigo Montoya and perhaps one of America’s greatest storytellers whose name wouldn’t come to mind in a conversation about your favorite storytellers. 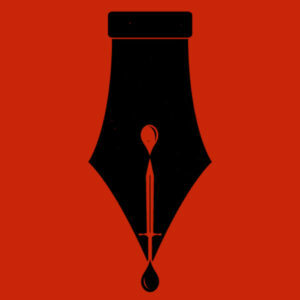 Nonetheless, we’d all lose something of cherished value had he never put pen to paper and let his imagination run wild. 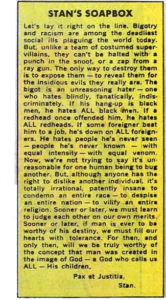 I guess this is where I take issue with Stan Lee regarding the quote that you may or may not have read in the open. You see, I don’t believe that the greatest superpower is luck. I believe the greatest superpower is opportunity. Not everyone gets lucky. Well, maybe we do, but we also probably feel as if we could get luckier or we long for the day when luck will shine on us again. If put on the spot, I’m betting that most of us would paint luck as a fickle companion that shows up when we least expect it and has a tendency to let us down when we’re counting on it most. It’s simply unpredictable. Opportunity, however… it greets us throughout each day. Every choice we made was intertwined with the opportunity to choose something different. What each person makes of opportunity is within their control and each opportunity grasped, opens the door to another. We often fail to seize opportunity because our focus is on the things that we can’t do, or the things we would do, if only a little luck would shine our way. With that approach, opportunity filters through our fingers moment by moment, day after day. If you’re reading this now, you’re breathing… which means that opportunity is waiting to dance with you. And, which is more, it will let you lead. How great is that! What if Stan Lee or Bill Goldman had planned to one day create a comic book character or write the first sentence of a screen play? They might have just kept that plan on the back burner as pages peeled off the calendar and years passed them by. One day might never have drifted their way and they would have never impacted your world in the wonderful way that they did. They would have died in obscurity, remembered only by a few close family friends.